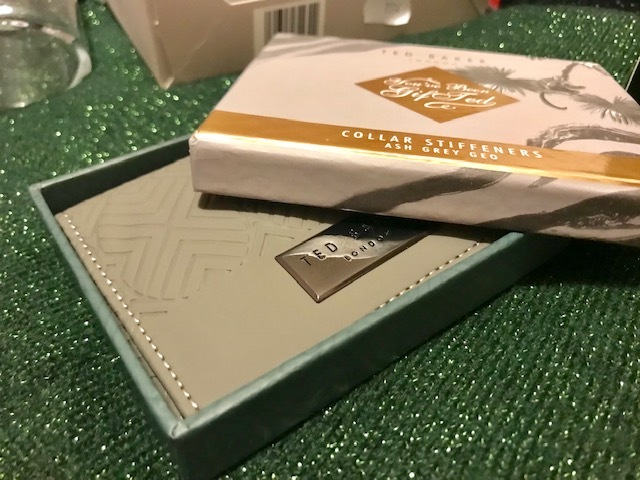 I love the Amara site for beautiful luxury gifts and once again it did not disappoint. I have had my eye on these for a while as I know my husband would really appreciate them. 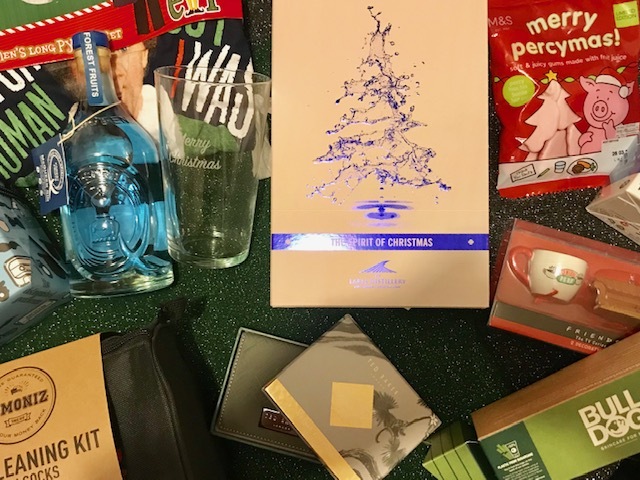 They look like a lovely gifts when they arrive in the classic Ted baker packaging, and are presented in the stylish holder. I am really hoping he loves them! You just can not go wrong with a personalised gift in my opinion so why not choose a personalised glass! Think would be great to add in to a hamper with a few beers and ales for your dad or brother! My dad is super hard to buy for but I know something like this will go down a treat! 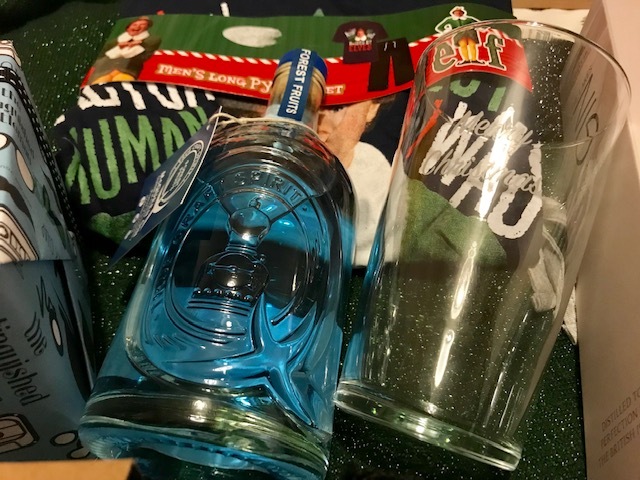 As mentioned, you just cant go wrong with alcoholic gifts! 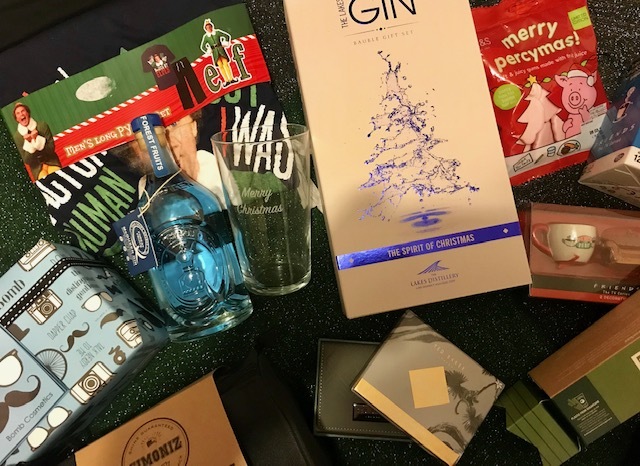 I saw this gin in Aldi a little while ago now and picked it up knowing it would make a great gift for someone in my family. This one actually changes colour when you add a mixer so I am excited to try it out! I love a good beauty gift set at Christmas time, I think if in doubt a gift set is the way to go. 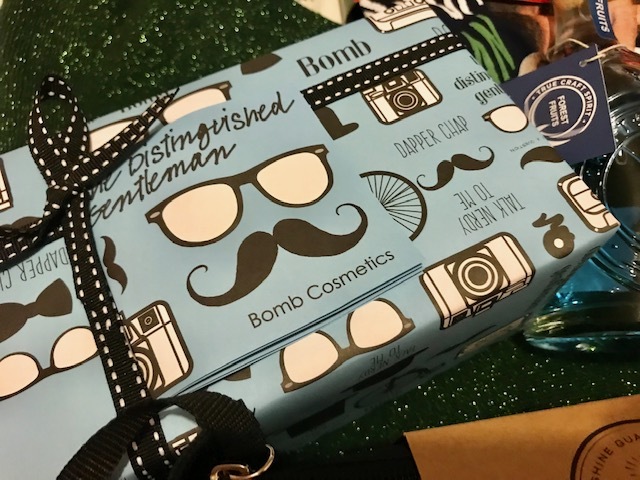 This Bomb Cosmetics box contains 5 products including a Dapper Chap Soap! I love the funky packaging and create products in here and for £11.99 I think its a bargain. My husband is obsessed with cleaning his car, I swear he takes it to the car wash every other week and gets the hover out at least once a month! 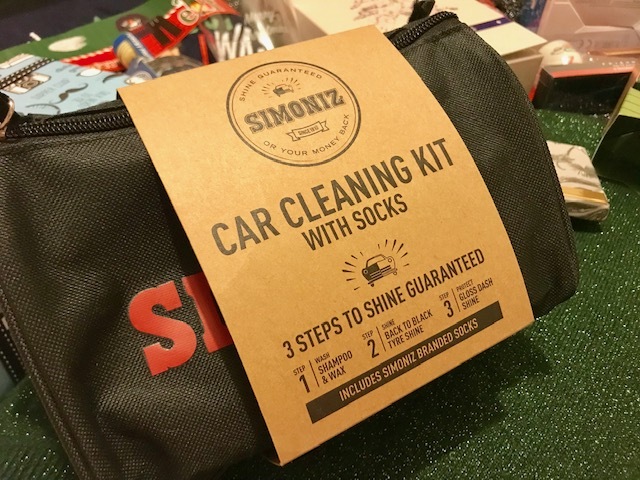 This Simoniz car cleaning kit is the perfect gift for him! It comes with 3 products, including a tyre shine and a pack of socks too! Its the perfect gift for the car fanatic in your life! I have personally been lusting over some Gin baubles for a while now. 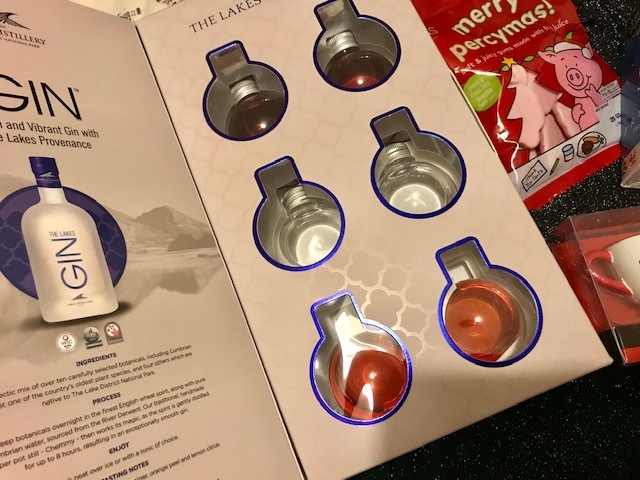 They are a few variations on the market now but I personally love this selection from the Lakes Distillery. Having tried and loved their signature gin I am excited to try out the other two flavours, Damson gin and sloe gin! Only problem with this gift is I don't feel like they will be on the free for long!! Everyone gets socks in my family at Christmas, its just the rules! My husband always asks for new socks so i always try and get him at least two packs. I tend to get him a cheaper pack from Primark and then a nicer pack from Jack Wills or Ted baker. 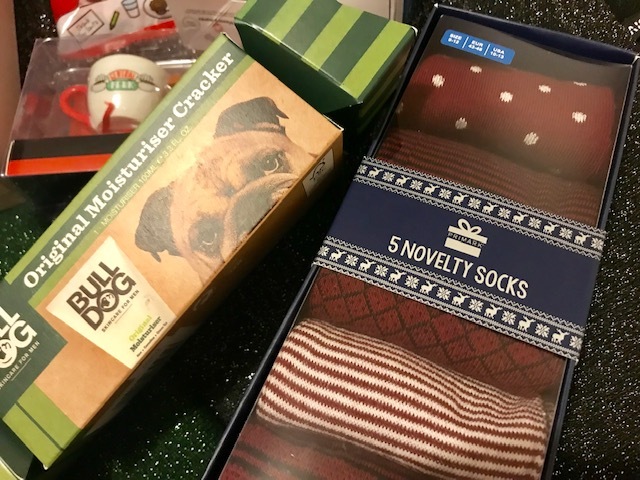 I love these little cracker style gifts, I think they are a great stocking filler and anything that has a dog on it I HAVE to buy (especially bulldogs). I think this will be a nice gift for my brother.